glad you got to spend time with your family 🙂 great alteration! I could have never told they weren't originally that way! merry christmas! You look gorgeous, I love all the different textures that you have combined, and especially the colour of the knit! Merry Christmas! Merry Christmas. Cute casual festive outfit. love the red sweater! merry xmas!!! xO! OMG…Burgundy is a very beautiful color, you look amazing! I like ur cool shoes ! wow, love every single piece in your look, dear~!!! beautiful, we love that knit! 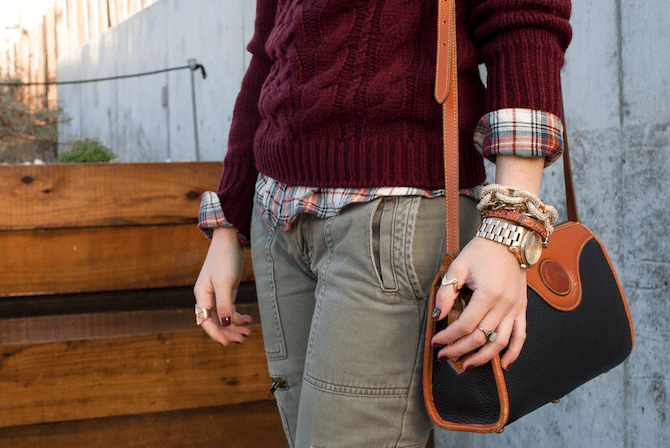 cargo + sweater+ plaid= holiday casual perfection!! Love this whole look! Hope you had a wonderful Christmas! So pretty! Love that bag!! Are you Korean? I didn't know! My family's situation is pretty much the same, most of my relatives live in Korea so we usually spend our Christmas with just the immediate family members.. Except this year, I spent it with my boyfriend pushing all my chores aside for this coming weekend haha! I hope you have something fun planned for the New Years! 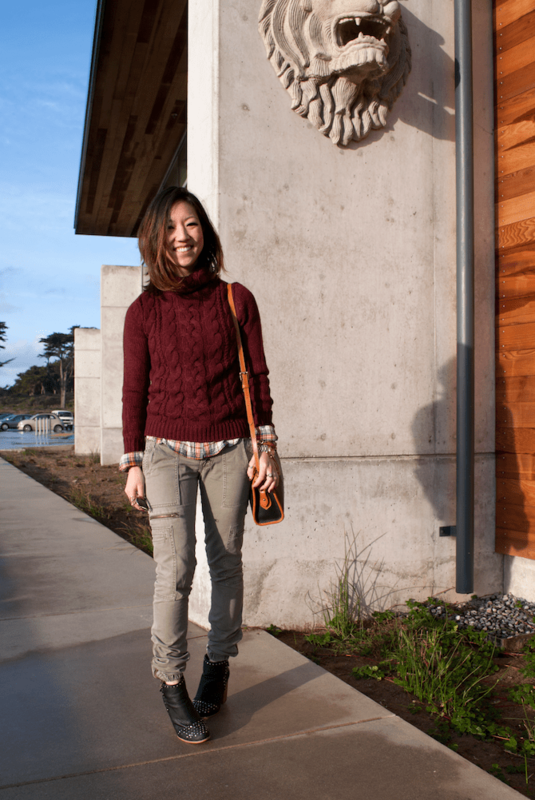 your boots are amazin' love this Outfit, so casual chic, sure lets follow each other! following niw via gfc and bloglovin,now its your turn;D have anice day! Look mega diferente pro Natal! Your look is pretty awesome! I found your blog to to tonight. It is very fun. Happy to have discovered this special place. You look great! I really like the sweater and the Dooney. Happy Holidays! Love your sweater! You look so great, I like so much your burgundy sweater! Love love love this outfit, especially the sweater !